Did you know that the Terry Fox Sports Complex not only provides a full array of summer facilities but the staff work hard to ensure great winter facilities are available for you to get out and enjoy? You can start the day with your families skiing on the groomed trails, or taking a trek through the snow on your snowshoes. There is a great toboggan hill in which your children can get hours of fun or top off the day with an evening skate or a game of pick up hockey at either of our outdoor rinks. This facility is weather dependent so please check out our website or Facebook page to ensure the facility is open. Cick here to view our Facility Booking Schedule. Check out our beautiful facility which includes a clubhouse, walking trails, beach volleyball court, outdoor tennis and basketball courts, football and soccer turfs as well as two ball fields! 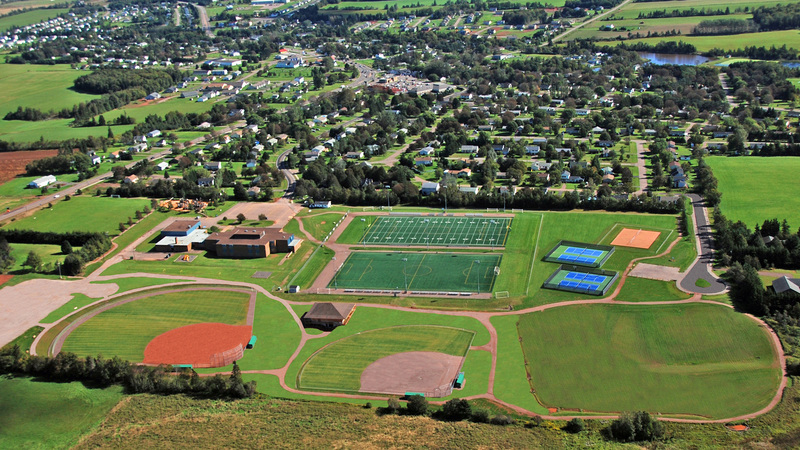 Call 902-566-2354 ext 235 or email mailto:recreation@cornwallpe.ca about booking the facility.